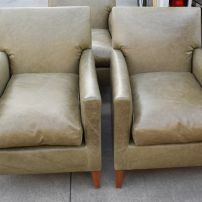 commented on "Arm Chairs Recovered in Rustic Leather"
This leather is a very popular choice for a luxurious modern look. So many great colours to select from. This leather is ideal for our new Australian made furniture ranges or reupholstery works.